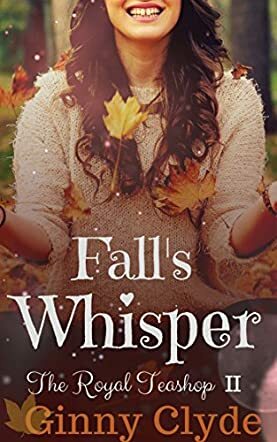 Fall’s Whisper by Ginny Clyde is a romantic fairy tale about knowing where you belong, and knowing who to trust in times of need. It’s fall in Knightswood. Olivia continues to go to school, as the annoying, albeit mysteriously charming Ryan continues to watch over her. However, things come to a head when Michael Hawthorne, the student president of St. Paul’s, sets his sights on Olivia. When he tries to lure her away from her own school with promises of a scholarship and prestige, Olivia refuses. Things escalate further until one night, at a Halloween party, when she finally stands up for herself. Ginny Clyde continues Olivia’s delightful tale full of the warmth of friendships and first loves. I was happy to see that Ryan did have some redeeming qualities, but it was really Olivia’s story that I enjoyed. The way she stood up to Michael said a lot about her sense of belonging. I was also grateful when she had both her brother and her mother to steer her on the right track, just to make sure that she stayed out of trouble. Typically speaking, fall is a season where the end begins. Despite that, it seems that both Olivia’s friendships, as well as her relationship with Ryan, are thriving. It’s heartwarming to see, to say the least. There were parallels between both Ryan and Michael in that they simply just swept into Olivia’s life, as well as held a somewhat creepy fascination for her. But while Ryan used this fascination in order to develop a relationship with her, Michael seemed to be fading from her memory, disappearing in the ever changing pages of Ginny Clyde’s work. Again, as in the first book, there were some parts I could only describe as cheesy, and where the book read a bit cliched. There were also a few plot points I wanted the author to go more into. Even so, it was a good read, and I’m happy to say that I thoroughly enjoyed it.